Jean McEwen wanted his abstract paintings to be an experience for the viewer. They are layered with translucent and opaque colour, and he is particularly known for his experiments in pouring and layering paint. 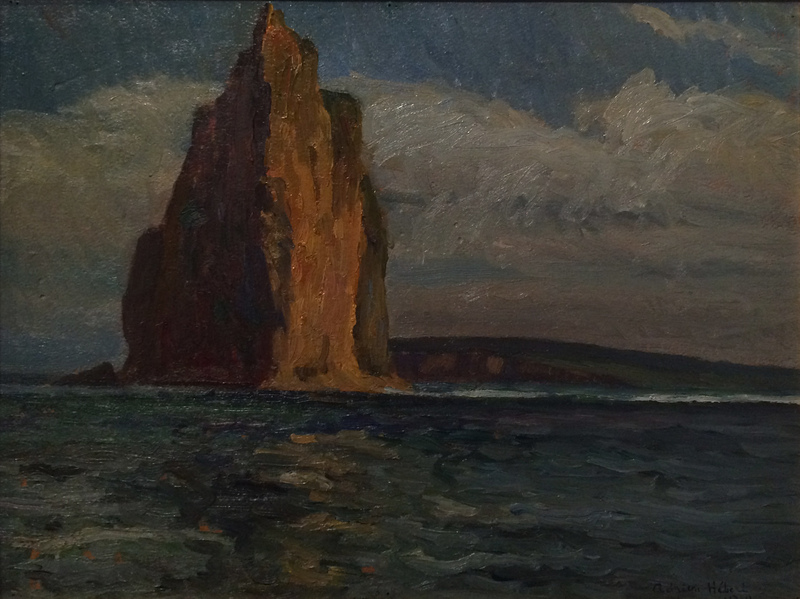 McEwen studied pharmacy at the University of Montreal, while maintaining an interest in poetry and painting. 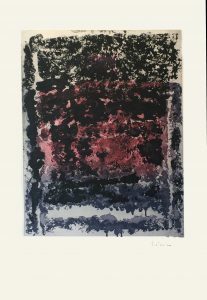 In 1951, less than a year after his graduation, he decided to pursue a career as an artist and soon found his interest was in non-representational expression and experiments. He was inspired by Montreal Automatiste members Jean Paul Riopelle and Paul-émile Borduas, who believed in spontaneous creativity based on tapping into the unconscious. 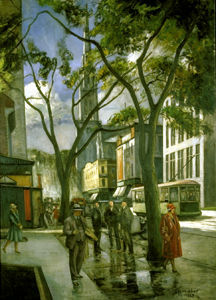 Borduas encouraged McEwen to visit Riopelle, who was living in Paris. McEwen moved to Paris in 1951 where he was influenced by the work of Riopelle, Jackson Pollock and Sam Francis. By 1952 he was painting in a style similar to Riopelle’s, using a palette knife to create all-over surface effects, a method he later left behind when he began working with his fingers. Beginning in 1957, McEwen worked on a succession of experimental series that focused on creating flat, dynamic space through exploring the different qualities of colour. These pieces do not make any reference to nature but consider the relationship of the painting’s structure to its colour. They are made by means of a layered process with opaque and transparent pigment. 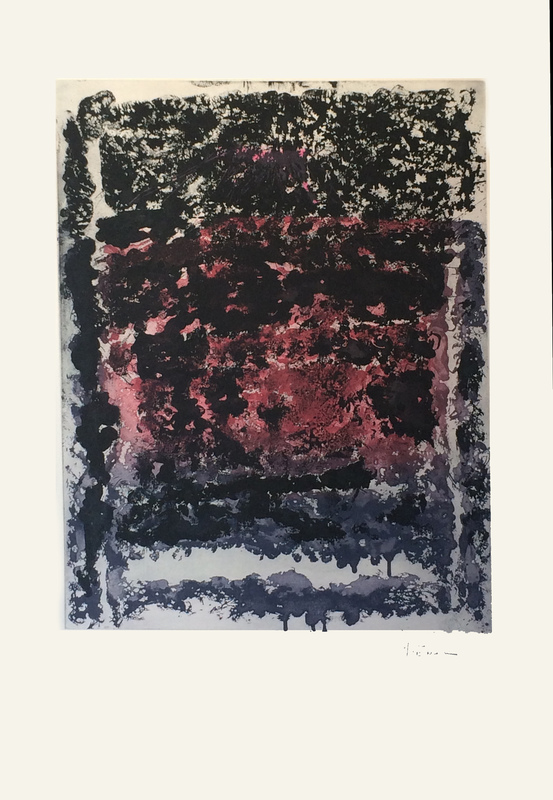 Red Interlacings (1961) is an example of his concern with the sensual effects of colour and the experience of pure sensation. Layers of red, yellow and brown cover the canvas, giving a sense of depth and liquidity. His later paintings were centred on a strong vertical plane that integrated the different sections of the image into a whole. McEwen understood this division to be about trapping light in the two sections by varying the opacities of paint. Although the artist’s primary medium was painting, he also created a series of artist books and a group of stained glass windows at Concordia University in Montreal. He exhibited widely until his death.